Storytime for preschoolers ages 4 - 5 enhances readiness skills through stories, songs and crafts. Registration is required. Now announcing a new series! For beginners and intermediate learners. This is a new series released this year. Custom-made for taking herbal medicine and our understanding of it a few steps further. You do not need to be a practicing herbalist. It will be anything but boring! Come gain a better understanding of how the body works so that we can all apply our herbal knowledge as well as possible. *You do not need to attend each class, though it may be helpful if you can! April 18: A&P Series- Part 1- Basic Chemistry of Herbs: Quick refresher of basic science that will be helpful in the rest of the course, definitions, cells, tissues, etc. April 24: A&P Series- Part 2- Skin and Wound Healing: The Integumentary System- About our largest organ- skin! The skin is one of the best routes to administer medicine. New and interested members: Please register for up-to-date notifications. The Bestsellers Book Discussion is a discussion group for adults that will meet each month to talk about a book that is currently (or was previously) a bestseller or considered buzzworthy. The Bestsellers Book Discussion Group will be reading and talking about A Passage to India by E.M. Forster. 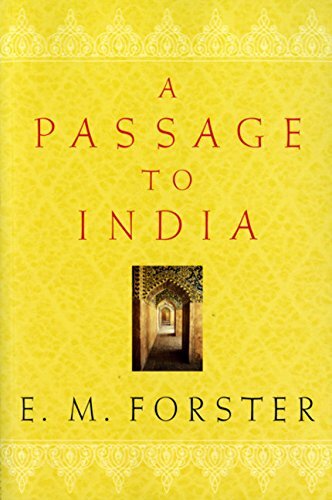 Britain’s three-hundred-year relationship with the Indian subcontinent produced much fiction of interest but only one indisputable masterpiece: E. M. Forster’s A Passage to India, published in 1924, at the height of the Indian independence movement. Centering on an ambiguous incident between a young Englishwoman of uncertain stability and an Indian doctor eager to know his conquerors better, Forster’s book explores, with unexampled profundity, both the historical chasm between races and the eternal one between individuals struggling to ease their isolation and make sense of their humanity. Additional information can be found at GoodReads. Copies of each month's selection are typically available on the book club display located at the front of the library. Please visit or contact the library with any additional questions. New members are always welcome! Kids ages 7 - 12 are invited to come to our monthly Lego Club! We supplies the LEGOs and theme each month, you bring the imagination! Registration is required. Storytime for toddlers, ages 2 - 3, with an attentive adult. Enjoy stories, songs and fingerplays followed by free play time. Registration is required. Infants up to 24 months and their caregivers are invited to join us for stories, songs and fingerplays that lead into free play time. Registration is required. Please note: No movie will be shown Friday, April 19 - Good Friday. Form a health new habit with our free weekly yoga class! Please bring your own mat. Kids in grades 4 - 6 are invited to join us for a monthly book club! We'll read a different book each month and discuss it while we do fun activities and enjoy a snack. Books will be available to check out at the library. Registration is required. Lynne Cochran will lead this ongoing class of total body toning movements. This relaxing, yet challenging class accomodates all levels of fitness. Lynne is a certified ACE group fitness instructor and personal trainer with a degree in fitness management. Bring an exercise mat and water. There is no fee for this adults-only class. Children in kindergarten - eighth grade with little to no experience playing chess are invited to join Beginning Chess with local instructor Eric Berthoud. Each session will consist of 1/2 hour of strategic instruction and 1/2 hour of play. Registration is required. Kids in kindergarten - eighth grade with prior chess experience are invited to join Experienced Chess with local instructor Eric Berthoud. Each session will consist of 1/2 hour of strategic instruction and 1/2 hour of play. Registration is required. Storytime for toddlers, ages 2 - 3, with an attentive adult. Enjoy stories, songs and fingerplays that lead into free play time. Registration is required. Join us every Wednesday from 11:00 a.m. to 2:00 p.m. for adult Chess Club. No registration required. The Bridgeville Public Library is pleased to be working with the Pittsburgh Pro Bono Partnership and FedEx Ground to help area senior citizens and other income-eligible individuals to prepare Wills, Living Wills and Power of Attorney. This Letter Writing Social is for anyone who is loves snail mail, beautiful stationery, writing letters or stamps! Join us to write letters, cards, or postcards. April is National Letter Writing Month, and also the #Write_On Campaign is happening. Celebrate National Letter Writing Month with us at the Library! We will provide some basic supplies for letter writing and envelope decorating. Stationary and stamps are limited, but we'll try to have enough for everyone. There will be snacks, water, tea, and coffee provided as well. Feel free to bring your own letter writing supplies, addresses, prompts, anything you want! 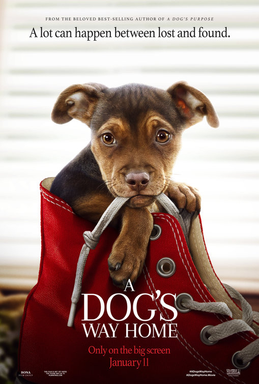 Join us on Friday evenings in the Bridgeville Public Library's Community Room for a free showing of a recent DVD release. No registration required. Girls in grades 2 - 5 are invited to read the book of the month, then join us for crafts, games and activites. Books are on hold at the library, and dolls are always welcome! Registration is required. Have plants that you want to give away? Gardening tools, books or ornaments that are cluttering up your house? Come trade with other plant enthusiasts! Please label your plants before arriving. Registration appreciated. Toddlers and preschoolers and their grown ups can join us once a month for art and STEM activities. Dress for a mess and enjoy the creative process! Registration is required. Children who will be attending kindergarten in Fall 2019 are invited to come to our monthly Kindergarten Readiness program. Join us for fun activities designed to reinforce skills you'll use in kindergarten. Registration is required. Please join us the second Tuesday of each month from 2 - 4 p.m. in the BPL Community Room to make blankets for patients with a serious illness. WRAPPED IN LOVE ORGANIZATION HAS DISSOLVED! WE ARE NO LONGER TAKING OUTSIDE DONATIONS! Join the Friends of the Library to make a unique craft. Register at the circulation desk. Cost: TBD with each craft. Meets every other month. The Bestsellers Book Discussion Group will be reading and talking about The Guernsey Literary and Potato Peel Pie Society by Mary Ann Shaffer and Annie Barrows. May is National Pet Month! Celebrate your pet and swap a few cards with us! Artist Trading Cards are miniature artistic pieces that are meant to traded with others, never sold. They can be made from anything, as long as the finished product is 2.5" x 3.5". Paper, fabric, clay, wood -- if it fits in a trading card sleeve, it's an ATC. Basic supplies will be provided, and you are welcome to bring your own things. Children are welcome to participate with parental supervision. Do you enjoy stimulating conversation about current events and the world of ideas? Join our Conversation Salon on the third Thursday of each month, 1-3 p.m.
Penn State Master Gardener, Bill Goff will look closely at an example perennial garden and how it changes throughout the growing season. There will be a discussion of appropriate plants for the three season garden as well as care and maintenance of the perennial border. WE ARE NO LONGER TAKING OUTSIDE DONATIONS. Sign up for a recipe from our chosen cookbook. The day of, bring your dish to share along with a serving utensil. Sign up sheet located at the circulation desk. Copies of the cookbook are available for checkout. In honor of the 50th anniversary of The Hungry Caterpillar, our theme this month will be paper piecing. Whether you create fanciful animals in Eric Carle's style, or use printed papers to make quilt-like designs, have fun with color, texture, and patterns this month! Artist Trading Cards are miniature artistic pieces that are meant to traded with others, never sold. They can be made from anything, as long as the finished product is 2.5" x 3.5". Paper, fabric, clay, wood -- if it fits in a trading card sleeve, it's an ATC. Basic supplies will be provided, and you are welcome to bring your own things. Children are welcome to participate with parental supervision.